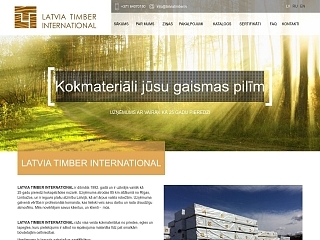 Company Ltd. "Latvia Timber International" from 1992 is engaged in lumber processing and delivery to Europe's market. Basic product range consists of building structure timber, finish timber and terrace timber. Our offered pine and spruce timber can be bought planed, painted or impregnated. Raw materials are purchased from our regular suppliers in Latvia, Estonia, Lithuania, Belarus and Russia. FSC certificate, FSC. Turned, impregnated poles, poles.